NAMSAI, Jan 28: The organisations here seeking permanent resident certificates (PRC) for the long-residing non-APST communities began their indefinite shutdown of eastern Arunachal Pradesh in Lekang circle of Namsai district on Monday. 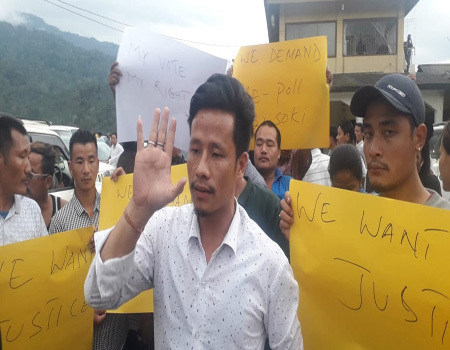 Speaking to reporters, AMSU-LRC convenor Horojit Moran said various organisations of the area have collectively decided to impose the shutdown till the Arunachal Pradesh government issues PRCs to the originally settled families. “We do not want to harass the people or stop developmental and daily activities, but we have been forced to do it because of the state government. The government has to take us seriously and should make a strategy and policy to issue us PRCs before the model code of conduct is imposed in the state,” he said. He said the government already has the legacy data of the families, and that submission of a new dossier would require another two to three months. “By the time a new dossier is made, the model code of conduct will be put into place. The elected representatives will be left with no power over the matter, and we will be deprived again,” he said. “The government should stop the drama and start issuing the PRCs which we had already been reissued during the time of former chief minister Dorjee Khandu in 2010,” he said, and informed that prior to 1992, the long-residing non-APST communities in Arunachal were issued PRCs. “In 1992, the then Lohit deputy commissioner Nabam Dai had issued a notification and stopped issuance of PRCs. The PRCs should now be reissued,” Moran demanded. He also clarified on the apprehension raised by many that once the non-APST communities in the state are granted PRCs, similar communities from Assam would seek the same. “We are only seeking PRCs for families who are mentioned in the 1968 village survey records. If everyone from Assam starts getting PRC then I will not ask for PRC, either, because it will go against the originally settled families. We are only demanding PRCs for those with authentic records,” Moran said. Regarding the organisations opposing the granting of PRCs, Moran said, “The PRC seeking and opposing organisations, and the PRC designating agencies, like the JHPC led by Nabam Rebia, should come together and hold discussions on it, instead of creating fallacies. “We welcome all organisations opposing the granting of PRCs to come and hold discussions. We will show them our villages and evidence of the families of those who have been living here for ages,” he said. Meanwhile, Moran said the ‘PRC maha rally’ would be taken out from the Dirak check gate to the Noa Dihing bridge on Tuesday. “All the residents of Lekang circle will come together for a meeting first. We want to understand where we stand for both the Arunachal and Assam governments. 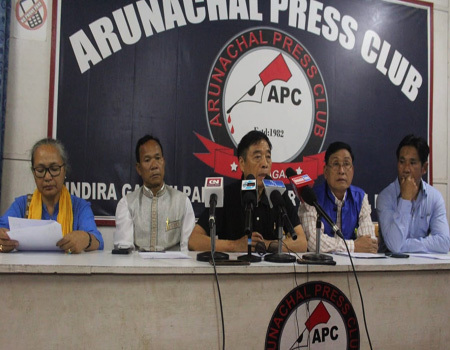 If we are not given PRCs, we will seek immediate dispersal of all administrative officials and other bureaucrats of Arunachal, and will move the office of the President of India for A, B or C class autonomous council,” Moran informed. During the shutdown in Lekang circle on Monday, the Dirak check gate remained closed to all vehicles. However, ambulances and military vehicles were allowed to move. Taye condemned the bandh on behalf of the BJP, saying it has caused untold suffering to the masses. 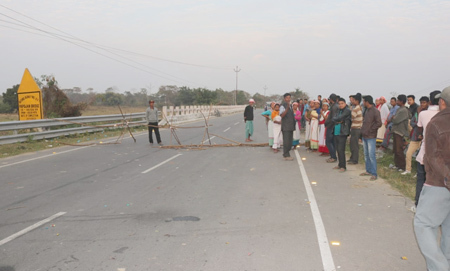 “When the state government is awaiting the final report of the JHPC led by senior minister Nabam Rebia to be placed before the cabinet during the state assembly session which begins on 21 February, the bandh should be called off immediately,” Taye said.